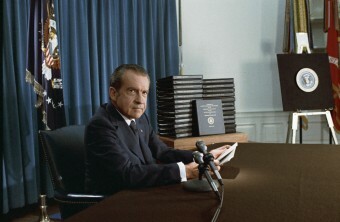 As 1972 approached, President Richard Nixon started to get more and more concerned about his coming reelection campaign. He became convinced that his political adversaries weren’t just opponents-they were “enemies” and had to be stopped. He and his advisers compiled this list of 20 public figures who they felt could hurt them in some way. Were they ever really threats to Nixon? Probably not, but Nixon thought so, which makes this piece of history all the more fascinating. In 1972 five men were caught breaking into Democratic National Committee headquarters in the Watergate Hotel in Washington, D.C. The culprits turned out to have ties to high-level members of both the Republican Party and the Nixon administration. The Congressional investigation that followed unraveled the Nixon presidency, exposing the systematic way Nixon abused power and attempted to destroy his enemies (real and imagined), eventually leading to his resignation in order to avoid impeachment. One year before Nixon’s resignation, on June 27, 1973, White House counsel John Dean testified before Congress about possible connections between the Nixon administration and the Watergate burglars’ plan to steal information damaging to Democratic candidates. Dean mentioned that in 1971 he’d received a memo titled “On Screwing Our Political Enemies.” Written by Charles Colson, another Nixon attorney, the memo was a list of people singled out as those most threatening to Nixon’s career. The memo detailed how the White House planned to go about discrediting Nixon’s opponents, which included anyone trying to run against him and any reporter who’d given him unfavorable coverage. The goal: to ruin every person on the list with a campaign of rumors, character assassination, and even IRS audits. The fact that there was a list was pretty much all Dean said about it. He didn’t mention any names, although he did turn the memo over to the Senate as evidence. Daniel Schorr, the CBS reporter covering the hearings, wasn’t satisfied- he wanted to see the list. He requested a copy of the memo from the Congressional press office the same day Dean talked about it. That night, as Schorr was delivering a live report on the CBS Evening News, an assistant handed him the memo, with its list of 20 targets. Schorr then read it live on the air. Among the names on the list, to Schorr’s surprise, was Schorr himself. Here’s a look at all the entrants on Nixon’s “Enemy List,” in the order that they were listed on the memo, from Enemy #1 down. #3) EDWIN O. GUTHMAN. Politicians and political activists who opposed Nixon were on his Enemies List, and so were investigative reporters. Guthman won a Pulizer Prize in 1950 when, as a reporter with the Seattle Times, he proved that the Washington State Un-American Activities Committee doctored evidence to accuse a college professor of Communist ties (Around the same time, Nixon had worked on the House Un-American Activities Committee, which rooted out Communists at the national level.) In 1961 Guthman became Attorney General Robert Kennedy’s press secretary, and in 1965 national editor of the Los Angeles Times, where Nixon’s aides were convinced (with little proof) that Guthman was “the prime mover behind the current Key Biscayne effort” – a scandal that linked Nixon’s purchase of cheap real estate in Florida with known Mafiosi. #4) MAXWELL DANE. An advertising executive at Doyle Dane Bernbach, the advertising agency that handled most of the Democratic party’s national presidential advertising in 1964. In that campaign, Dane’s agency produced a frightening political ad for President Johnson called “Daisy,” in which a little girl holds a flower in a field, counting down, until a nuclear bomb wipes out everything. That year, Democrat Lyndon Johnson beat Republican Barry Goldwater in a landslide…and Nixon wasn’t about to let that happen to him. According to the memo, Dane was a test target for the Nixon enemies project-if he was successfully discredited, his partners, Doyle and Bernbach, would be next. #5) CHARLES DYSON. A major financier through his Dyson-Kissner Corporation, a major philanthropist through his Dyson Foundation, and a major contributor to Democratic candidates and causes. He funded the Businessmen’s Educational Fund, which in turn sponsored a series of five-minute anti-Nixon radio ads in the run-up to the 1972 election. Dyson was also a close associate of Democrat strategist and Democratic National Committee chairman Larry O’Brien (whose office was the main target in the Watergate burglary). #6) HOWARD STEIN. One of the nation’s leading investment bankers, Stein was chairman of the Dreyfus Corporation. There, he invented the mutual fund and made billions for his company and for himself. He was also the largest individual donor to Eugene McCarthy’s 1968 presidential campaign. Nixon feared he’d donate as much or more to the opposition again in 1972, especially if the opposition were wither John Lindsay or George McGovern, the memo notes. #8) MORTON HALPERIN. Halperin was Deputy Assistant Secretary of Defense under Lyndon Johnson, and was one of the few officials in the Johnson administration who had opposed the Vietnam War from the very beginning. Nevertheless, Halperin was appointed to the National Security Council by Nixon’s Secretary of State, Henry Kissinger. When the New York Times reported in May 1969 that Kissinger had directed the secret bombing of Cambodia, Kissinger and FBI director J. Edgar Hoover believed Halperin was responsible for leaking the news and began tapping his phones. He left the NSC later that year and went on to be a leader of Common Cause, a nonprofit group dedicated to openness and accountability in government. The tapping of his phone continued until early 1971. #9) LEONARD WOODCOCK. Woodcock appeared on the List with the caption “no comments necessary.” He headed the United Auto Workers union, one of the largest and most powerful trade unions in the United States, with a large, Democrat-supporting voting bloc. Woodcock also used his position to publicly support two causes Nixon avoided: civil rights and women’s rights. #16) RONALD DELLUMS. A 36-year old African-American U.S. congressman from Oakland, California, Dellums was a protégé of liberal senators John Tunney and Edward Kennedy, as well as an outspoken opponent of the Vietnam War. #17) DANIEL SCHORR. The memo labels the CBS News reporter “a real media enemy.” Schorr started at the network in 1953, recruited by Edward R Murrow, the newsman who challenged Sen. Joseph McCarthy’s drive to root out Communists in government in the early 1950s (a drive in which California congressman Richard Nixon had assisted). Schorr made several reports over the years that Nixon loathed, including a sympathetic interview with Soviet leader Nikita Khrushchev in 1957 and an examination of life in East Germany in 1962. The FBI opened a file on Schorr in 1971. #18) HARRISON DOGOLE. One of the leading contributors to Hubert Humphrey’s 1968 presidential campaign was Globe Security Systems-one of the largest private detective and security agencies in the United States. Globe president S. Harrison Dogole authorized the contributions to Humphrey, who lost to Nixon in the ’68 election. Nixon’s team was convinced that Dogole would be out for revenge in 1972, stating in the memo that Dogole had to be deflected because he could contribute millions to the 1972 Democratic candidate, or possibly even use Globe agents to spy on Nixon. #19) PAUL NEWMAN. Yes, the Paul Newman. One of the biggest stars in Hollywood, he was also aligned with “radical and liberal causes,” including the unsuccessful presidential campaign of Democrat Eugene McCarthy in 1968. Newman had personally endorsed the candidate in campaign commercials, and Nixon’s folks feared he might be used again in such a way in 1972. In conjunction with the ongoing Watergate investigation, the Congressional Joint Committee on Internal Revenue Taxation looked into whether or not the people on Nixon’s Enemies List had, in fact, been subjected to any unfair treatment, specifically unfair taxation or unnecessary tax audits. The committee announced in December 1973 that it had found no evidence that any of the people listed had been treated unfairly. But who knows what would have happened if those five men who broke into the Watergate hadn’t been captured. 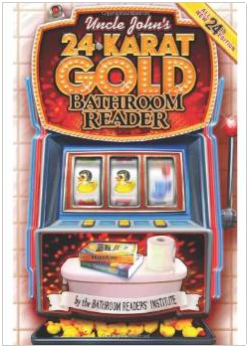 I look forward to a similar expose’ of the current occupant of the White House. Nixon *wanted* to use the IRS against his opponents. Barack Obama actually did it. Being born in the outside, except for Paul Newman, I haven’t even heard of any of those names… ok, the point is, any whacko psychotic can make other’s people’s lives miserable….. just for being a psycho…..